GitHub - TokenMarketNet/sto: Security Token Manager is an open source project for a command line tool and Python API to interact and integrate security tokens. Want to be notified of new releases in TokenMarketNet/sto? 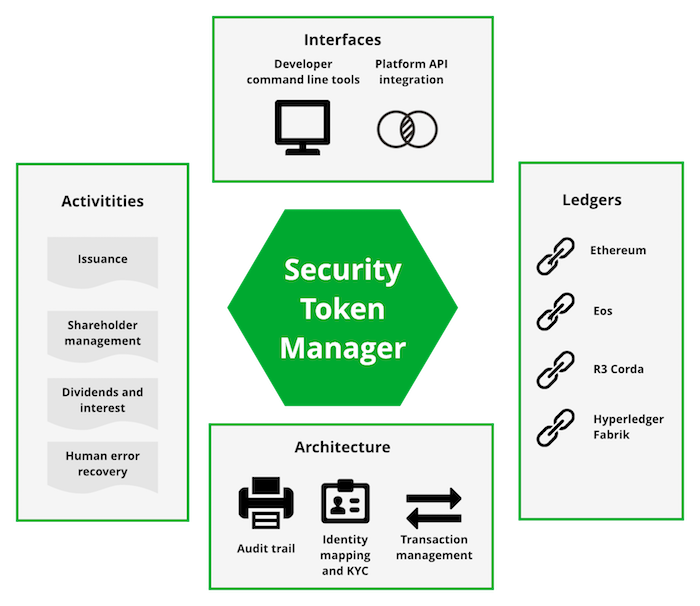 Security Token Manager is an open source project that provides a command line tool and API library to interact and integrate tokens to your business systems. Security Token Manager provides technical operations for corporate governance including e.g.